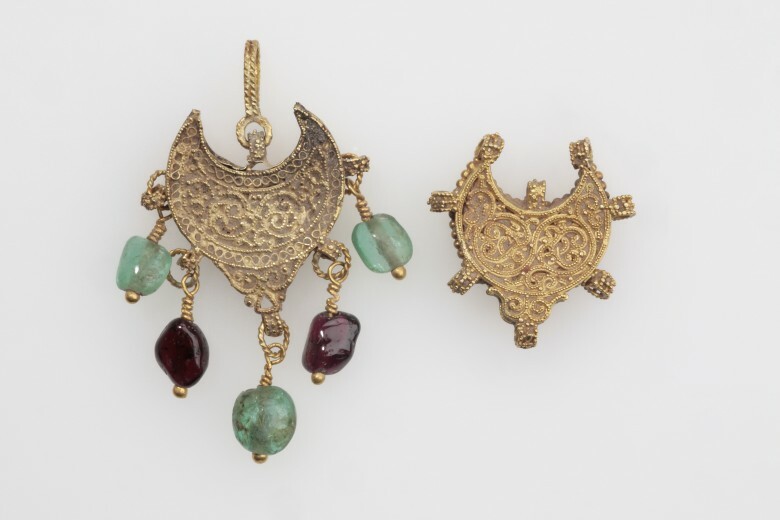 The magnificent holdings of Islamic jewellery in the Collection are more comprehensive than any other published collection. 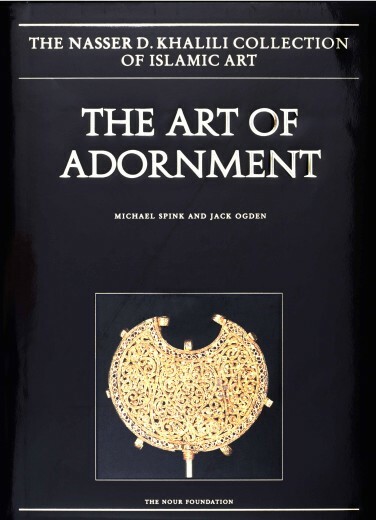 This two-part volume includes virtually every form of personal adornment – head, hair and headdress ornaments; earrings; nose rings; pendants; beads; necklaces; bracelets, armlets and anklets; armband elements; amulets and amulet cases; pins and brooches; buttons; belts and belt fittings – as well as harness fittings – in a wide range of materials and techniques – gold, silver and copper alloys with niello, enamel and inset gems. There are nearly 600 catalogued pieces dating from the 7th to the 20th centuries, and from across the Islamic world, from Spain to Malaysia, North Africa to the Eurasian steppes. Outstanding within the Collection are the Fatimid objects, which incorporate the ‘rope-and-grain’ filigree characteristic of Egypt or Syria; Iranian bracelets of the 10th–13th centuries, of gold sheet decorated with set gems, niello and granulation; and a two-headed eagle from 18th-century Morocco, in gold filigree and set gems. 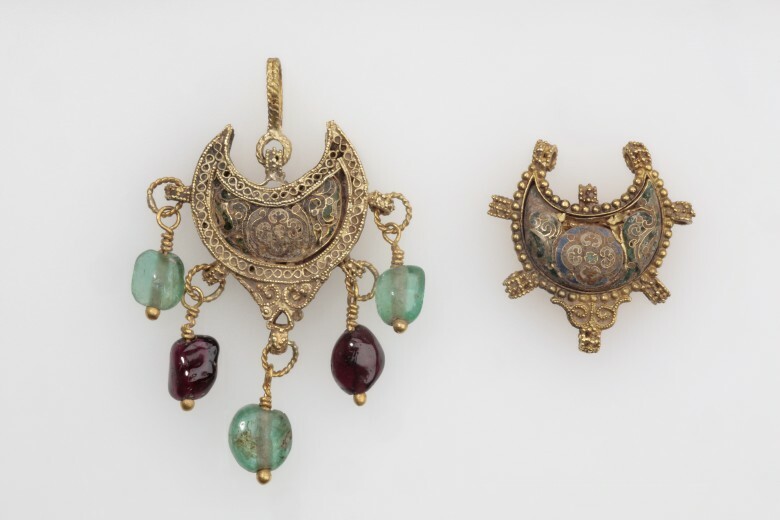 The catalogue examines the role of jewellery in Muslim societies and attempts to place certain forms in the context of other cultures, from Byzantium to Liao China. Other essays introduce the materials and technology of jewellery-making, discuss the origins of ‘spiral filigree’ and present a significant group of copper-alloy harness fittings from Nasrid Spain. Separate catalogue volumes have been devoted to the Collection’s holdings of rings (vol. XVI) and to jewels from Mughal India (vol. XXI).